Acquisition usually refers business or an individual buying another business or a part of another business. Businesses or individuals may acquire the entire business, a product line, brand name, customers or other assets. Refers to the price (including the closing costs) to purchase another company or property. A merger or consolidation in which an acquirer purchases the selling firm's assets. A merger or consolidation in which an acquirer purchases te acquiree's stock. The change in the value of a firm's foreign currency-denominated accounts due to a change in exchange rates. A short-termfinancing method in which accounts receivable are collateral for cash advances. See: Factoring. The ratio of netcreditsales to averageaccounts receivable, which is a measure of how quickly customers pay their bills. A type of acquisition whereby the seller of a corporation agrees to sell all or part assets and liabilities of a company. The business entity is not transferred. A business asset sale is equipment, furniture of fixtures of a business. Business buyers sell off parts of an acquired business. Usually business buyers will break up an acquired business and sell of parts to either unlock “hidden” value or to recoup all or part of their initial investment. Any depreciation method that produces larger deductions for depreciation in the early years of a assets life. Accelerated cost recovery system (A.C.R.S. ), which is a depreciation schedule allowed for tax purposes, is one such example. An agent is a salesperson working for a Broker. Listing agent sells a business for a seller. Buyers agent sells a home for a buyer. A buy-sell agreement is also known as business continuation agreement and buyout agreement. The agreement is used by the business buyer and seller to enter into a contract for the transfer of business interests when a specified triggering event occurs. Typical events when the business agreement comes into a play are death, disability and retirement. A buy-sell agreement allows a family business to establish which family members will take control of the business and establish the rights and obligations of all non-active members. A business broker is a person or firm that acts as an intermediary between sellers and buyers of businesses. Business brokers, also called business transfer agents, or intermediaries, assist buyers and sellers of privately held business in the buying and selling process. They typically estimate the value of the business; advertise it for sale with or without disclosing its identity; handle the initial interviews, discussions, and negotiations with prospective buyers; facilitate the progress of the due diligence investigation and generally assist with the business sale. Basis Point implies one-one hundredth of a unit. The term is usually used with interest rates. Approach used by a business to generate sales (top line), profits (bottom line), and protect its competitive position in the marketplace (moat). Business model answers the fundamental question, how do you plan to make money and then protect the business franchise? Business structure is the legal framework under which a business is operates. In the US, business structures include sole proprietorship, partnership, C Corporation, S corporation, and limited liability company (LLC). High-level business objectives that are tied to the long term business plan. A commercial, industrial, investment, or service entity (or a combination) pursuing an economic activity. Also called the statement of financial condition, it is a summary of a company's assets,liabilities, and owners equity. Basis point In the bond market, the smallest measure used for quoting yields is a basis point. Each percentage point of yield in bonds equals 100 basis points. Basis points also are used for interest rates. An interest rate of 5% is 50 basis points greater than an interest rate of 4.5%. A company's book value is its total assets minus intangible assets and liabilities, such as debt. A company's book value might be more or less than its market value. Book value per share The ratio of stockholder equity to the average number of common shares. Book value per share should not be thought of as an indicator of economic worth, since it reflects accounting valuation (and not necessarily market valuation). The act or process of determining the value of a business enterprise. A business plan is strategic document that allows a company to pick the direction it wants to take and figure out how it plans to achieve its goals and objectives. Business plans are used to raise finance and used by business owners to think through the business domain in detail. For more details please review Business Plans. Bought deal security issue where one or two underwriters buy the entire issue. There are many ways to structure business deals. Deal structures are negotiated by the business buyer, seller and intermediary and are almost always unique. Key elements of deal structure include cash at close, Seller Financing, Earn Out, Mezzanine Financing, Seller Retained Equity and others. For more details please review Business Deal Structure. Break-even analysis An analysis of the level of sales at which a project would make zero profit. Breakeven point is where a business’ revenue equals cost. At breakeven point the net earnings are zero. Black ink is a synonym for profitability, as opposed to “red ink”, which refers to negative balances or losses. By some theories, the term black ink may also have led to the term Black Friday when most retailers achieve profitability. Increase in the value of a capital asset when it is sold or transferred, compared to its initial worth. Loss realized from buying a security or commodity at one price and subsequently selling it at another, or holding it to redemption and then redeeming it. Market for loanable funds that covers medium and long term finance. Equity Ownership interest possessed by shareholders in a corporation - stock as opposed to bonds. Cash flow is the total cash coming into a business from all sources minus the total cash going out of the business. Cash flow is critical because a business will be successful only if it generates more cash than it spends. CAPM is an element of Modern Portfolio Theory. It is a mathematical model that describes the relationship between risk and return. CAPM is commonly used to price securities where CAPM prices risky assets by estimating the relative risk of the asset or security as compared to risk-free assets. Cap table stands for Capitalization Table. It is used to keep track of the percentage of ownership and value of securities (i.e., stock, options, warrants, etc.) held by all investors in a business. Business owners should keep their businesses Cap Table current at all times. More complex Cap Tables also keep track of vesting schedules and options. Cap tables are typically shared with investors. Physical market , spot market Market where people buy and sell actual commodities or financial instruments for instant delivery. The settlement of a contract through payment of the cash equivalent of the profit or loss as opposed to the physical delivery of the underlying instrument. The composition of the invested capital of a business enterprise, the mix of debt and equity financing. Cost of capital, also known as the hurdle rate, is the cost of raising financing. It also used to value businesses. For these reasons, it is important for a small business to know their cost of capital. From the investor’s point of view, cost of capital measures the risk associated with a business investment. Contact information relates to information required to contact an individual. It includes place of business, name, position name or title, business telephone number, business address, business email of the individual. Commercial real estate is any property owned by investors to produce income. Commercial real-estate includes retail, offices and hotels. Industrial real estate is also considered commercial. Industrial real estate is used to manufacture, distribute or warehouse products. Most offers to purchase will be subject to certain contingencies, i.e. obtaining financing, interviewing with key customers or suppliers, indepth interrogation of financials and lease, etc. These are assets on a business’s balance sheet that can be converted to cash within one year. Current Assets typically include Cash, Short term investments, Inventory and Accounts receivable. Current liabilities stand for short-term debt that must off within 12 months. Current liabilities include Accounts payable and Short-term loans. The current ratio is the current assets divided by the current liabilities. Businesses must maintain a large enough current ratio to pay of creditors. Debt capital relates to money borrowed and used to establish a business or run a business. Deal structure is used to describe the terms of agreement acceptable to both parties in an M&A transaction. For example, deals may be structured as a stock purchase or as an asset purchase. Additionally, deals may be leveraged, traditional debt, convertible debt and so on. Please refer to the article Structuring Business Deals. A rate of return used to convert a future monetary sum into present value. DCF is a valuation method that measures, in present-day dollars terms, the value of the expected economic benefits from an asset after taking into account risks and costs associated to owning and operating the asset (small business). Business Due Diligence is a critical part of the business buying process and extends beyond just financial due-diligence. Due diligence is the process of systematically evaluating the target company for management, legal, financial, marketing and operational considerations by reviewing data, documents and other artefacts. For more details please review the Primer on Business Due-Diligence. Drop Shipping is a technique where the store (or Website) does not keep the product in stock. When a customer places an order, the order and shipment details are sent to the manufacturer or wholesaler of the product. The manufacturer (or wholesaler) then ships the item directly to the customer. With drop shipping the selling merchant does not own any inventory and does not see or handles the product sold. Drop shipping has several advantages including low overhead, flexible location and wide selection of products. The biggest dis-advantage is low margins. The portion of the purchase price that is contingent on future performance. It is payable to the sellers only when certain predefined levels of sales or income are achieved in the years after acquisition. This Is the approach where the business buyer pays the seller from the income generated from the business. This is a common practice used by the purchaser for financing the deal or in case of service businesses. A right to some use of adjoining land or buildings, for example, a right of way or a right to light. An entrepreneur is a person who recognizes a need and starts a new business venture to capitalize on the opportunity. An entrepreneur is able to bootstrap and find the resources to accomplish his or her goals. Enterprise is another name for an organization created for a business venture. Agreement where key employees agree to remain with the business for a specified length of time after the M&A deal is completed. Owners financial interest in the firm’s assets. A way to finance a business by issuing equity (stock) to investors. Business investors give money to build the business in exchange for partial ownership. Equity Crowdfunding allows investors to invest in a small business with the objective of getting a return from their investment. Currently only accredited investors can invest in businesses. This may change once the US Securities Commission (SEC) approves the JOBS Act and defines all the regulations associated with it. For more details please review the Equity Crowdfunding page. The period over which the owner of a tangible asset (like real estate) or intangible asset (like Patents) will derive economic benefit from its use. In other words, it is the period over which an asset is expected to be economically usable by one or more owners. Exit strategy is a plan which includes when and how to sell a business or sell shares in a business. Selling a business can take anywhere between six months to 1 year. Additionally, a business’s value is dependent completing several things to maximize value. With fixed interest rate the interest rate on a loan is fixed for certain duration. The rate with not go up or down in this period. Time that a business has before it runs out of cash and "Flames Out". Flame out time can be estimated by taking the cash position and dividing it by the burn rate. With Floating Interest Rate the interest rate on a loan can change. That is the interest rate may go up or down as the market changes. Floating interest rate is also commonly called a variable interest rate. Freehold implies indefinite ownership of property where the owner does not owe any money on the home or business. The amount a buyer may reasonably offer and a seller may accept in exchange for the asset (small business). A license where a franchisor awards rights to a franchisee to use specific trademarks, business systems, and a business concept. The rate of return (or discount rate) of a project that makes the Net Present Value (NPV) of cash inflows and outflows equal to zero. IRR is often used in capital budgeting. Projects with higher IRR are considered better. IRR provides a mechanism to rank or compare multiple projects in a firm. IRR may also be called Economic Rate or Return (ERR). Business cannot meet its financial obligations. Intellectual Property are legal rights to trade secrets and proprietary information and inventions in any form. IP includes inventions, patents, financial information, technical information, trademarks, recipes and so on. IP also includes works of art like words, phrases, content, symbols, images, designs, models and design. 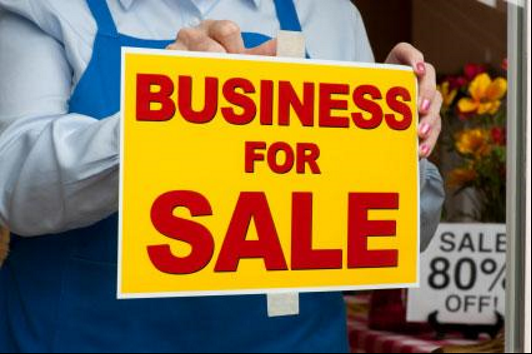 A person who has indicated interest in buying or selling a business in some way, shape or form. Lead generation is the process of finding and converting prospects into those leads. Inbound marketing is the process of finding prospective customers by providing content that is helpful and relevant. Lead generation is the process of sending the business owners, business sellers or buyer agents prospective individuals or businesses who may be interested in buying a business listed. The degree of ease and value with which a security can be converted to cash. Assets that can be converted to cash within 30 days. A Management Buyout is where a company's managers acquire a portion or controlling stake in a business by acquiring interest in the company from the existing shareholders or owners. In a market economy free markets determine how resources are allocated. The main market forces at play are demand and supply with limited or zero government controls and restrictions. There is no perfect free market, but modern economies are based on the principles of free market. NAICS is an industry classification system that groups establishments into industries based on the similarity of their production purpose. For use by government policy analysts, academics, researchers, the business community, and the public. The first two digits of the code designate the sector, the third designates the subsector, the fourth digit designates the industry group, the fifth digit designates the NAICS industry, and the sixth digit designates the national industry. There are 20 sectors and 1,057 industries in 2017. NAICS classifies all economic activities into 20 sectors namely: Agriculture, Forestry, Fishing and Hunting, Mining, Quarrying, and Oil and Gas Extraction, Utilities, Construction,Manufacturing, Wholesale Trade, Retail Trade, Transportation and Warehousing, Information,Finance and Insurance, Real Estate and Rental and Leasing, Professional, Scientific, and Technical Services, Management of Companies and Enterprises, Administrative and Support and Waste Management and Remediation Services, Educational Services, Health Care and Social Assistance, Arts, Entertainment, and Recreation, Accommodation and Food Services and Public Administration. A Project is set of inter-related activities required to achieve established goals within a specified amount of time, budget, and resources. Projects have specified beginning and ending time, personnel requirements, and budget. Project initiator is a business executive with the authority and/or the responsibility to initiate work. The Project Initiator is responsible for defining the project and for securing financing for the project. The individual who is assigned the responsibility of leading the project team and is the single point of accountability for the project. Is a project related document that defines a strategy and activities for meeting the project objectives. A senior manager designated to support the success of the project by approving the project, providing liaison with senior management, and signing the Project Completion Report. If one is not specified it is the VP of the Initiating Group. Personal information relates to recorded or stored information about an identifiable individual. Personal information relates to but not limited to, the individual’s name, address, telephone number, race, origin, colour, political or religious beliefs, and marital status. It also includes an individual’s educational, financial, criminal or employment history) except contact information. SAV the value of stock (inventory) a business has at the time of business valuation. Stock purchase refers to buying the entire entity. In case of an SME (small to medium sized business) stock purchase refers to total ownership of the business transferred from the seller to a buyer. With Asset purchase on the other hand, the seller retains shares in the existing organization and only specific assets or liabilities are sold to the buyer who may be an existing entity or a newly formed entity. Sellers Discretionary Earnings is perhaps the most important concept to value a small business. SDE represents small business earnings more accurately because depreciation, amortization and interest paid are added back to the bottom line. Small businesses pay a lot of bills from the business, which is deducted from the business rather than from the individual. SDE adjusts for these items. For more details please review Seller’s Discretionary Earnings. Funds invested in the earliest stage of a business’s development. It is the capital required to start a business. Seed capital comes from the founders themselves and their friends and family. Seed capital is a high risk, high reward investment. A business that generates all necessary capital required to sustain itself from its own operations. That is a self-financing business does not need to leverage outside investors or lenders. A self-employed person works for himself. If incorporated the self-employed person pays himself a salary of wage. For example, freelancers are usually self - employed. A self-employed person gets involved in the day-to-day operation of a business and owns the business. This is in contrast to a business owner who owns a business but does not get involved in the day-to-day operation of the business. A silent partner, also known as limited partner, is an investor who provides capital to a business, but does not get involved in the day-to-day activities of the business. Sometimes, in addition to providing capital, the silent partner may also be able to provide guidance and business contacts. A silent partner must trust the operational partner to run the business. Becoming a silent partner has several advantages including passive income and taking on less responsibility. Strategic alliance is an agreement between two or more individuals or independent firms to collaborate on a mutually beneficial objective. Strategic alliances do not result in a new business entity. In a strategic alliance parties involved just collaborate with each other on specific objectives that benefits everyone involved. Strategic alliances may be legal in which case all parties involved must develop and sign strategic alliance agreements. For example, legal strategic alliances are common used by large and small technical organizations where the smaller organization specializes in R&D while the larger organization specializes in sales, marketing and distribution. Businesses are priced using standard business valuation techniques. A synergistic buyer will pay a premium above the economic value or several reasons as described in the blog post. For example, a synergistic buyer may pay a premium to get additional from consolidation. With seller financing a part of the sale of the business is financed by the seller. Part of the final price is payable upfront on completion of the deal and remaining is payable at specified intervals in the future. Seller financing increases the chance of closing a deal because it allows the buyer to spread the cost over a long period. With seller financing, the seller plays the role of a lender. A provision by which the business buyer makes specified payments over an agreed period of time with interest. The difference when current liabilities are subtracted from current assets. Shows the amount of money available to grow the business in the short term.. Participating broker simply implies business broker, realtor or any other business intermediary who subscribes to BuySellBusinesses.com services. Participating brokers are listed in the business brokers section. The amount of income (profit) after taking into account costs, interest, tax, depreciation and amortization. Calculates how much a business earns on each dollar of assets. Lack of cash on hand to continue business operations or pay its creditors. A white knight is a "friendly investor" (an alternative buyer) who enters the fray to acquire the target company at a fair price when it is raided by a hostile suitor (aka black knight). A white knight may be a corporation or an individual. If you have suggestions for additions or changes, please contact us.